This is an experimental feature. Give it a try and have fun with it, but don't be surprised if everything doesn't quite work as expected. We're evaluating the viability of this feature and interest in using it, so please tell us about your experience (and any bugs you've found) in the developer forums. Starting with the Windows 10 April 2018 update, we've enabled an experimental feature that lets you add custom environments to the Places picker (on the Start menu) to use as the Windows Mixed Reality home. Windows Mixed Reality has two default environments, Cliff House and Skyloft, that you can choose as your home. Creating custom environments allows you to expand that list with your own creations. We are making this available in an early state to evaluate interest from creators and developers, see what kinds of worlds you create, and understand how you work with different authoring tools. When using a custom environment you'll notice that teleporting, interacting with apps, and placing holograms works just like it does in the Cliff House and Skyloft. You can browse the web in a fantasy landscape or fill a futuristic city with holograms - the possibilities are endless! Download our sample Fantasy Island environment (link points to self-extracting executable). Run the Fantasy_Island.exe file you just downloaded. When attempting to run a .exe file downloaded from the web (like this one), you may encounter a "Windows protected your PC" pop-up. To run Fantasy_Island.exe from this pop-up, select More info and then Run anyway. This security setting is meant to protect you from downloading files you may not want to trust, so please only choose this option when you trust the source of the file. Open File Explorer and navigate to the environments folder by pasting the following in the address bar: %LOCALAPPDATA%\Packages\EnvironmentsApp_cw5n1h2txyewy\LocalState. Copy the sample environment that you downloaded into this folder. Restart Mixed Reality Portal. This will refresh the list of environments in the Places picker. Put on your headset. Once you're in the home, open the Start menu using the Windows button your controller. Select the Places icon above the list of pinned apps to choose a home environment. You will find the Fantasy Island environment that you downloaded in your list of places. Select Fantasy Island to enter your new custom home environment! In addition to using our sample environments, you can export your own custom environments using your favorite 3D editing software. Users will spawn at 0,0,0 so center your desired spawn location around the origin. Working Units should be set to meters so that assets can be authored at world scale. All meshes do not need to be combined, but it is recommended if you are targeting resource-constrained devices. Windows Mixed Reality relies on binary glTF (.glb) as the asset delivery format for environments. glTF is a royalty free open standard for 3D asset delivery maintained by the Khronos group. As glTF evolves as an industry standard for interoperable 3D content, so will Microsoft’s support for the format across Windows apps and experiences. The first step in exporting assets to be used as custom home environments is generating a glTF 2.0 model. The glTF working group maintains a list of supported exporters and converters to create a glTF 2.0 model. To get started, use one of the programs listed on this page to create and export a glTF 2.0 model, or convert an existing model using one of the supported converters. Additionally, check out this helpful article which provides an overview of an art workflow for exporting glTF models from Blender and 3DS Max directly. All environments must be < 256 mbs. Environments larger than 256 mbs will fail to load and fall back to an empty world with just the default skybox surrounding the user. Please keep this file size limit in mind when creating your models. Additionally, if you plan to optimize your environment using the WindowsMRAssetConverter as described below, be cognizant that the texture size will increase as the optimizer creates textures that have a larger file size, but load faster. Windows Mixed Reality supports a number of optional optimizations that will significantly reduce the load time of your environments. This can be especially important for environments with many textures, as they will sometimes time out while loading. In general, we recommend this step for all assets, however, smaller environments with few or low-resolution textures won't always require it. To make this process easier, we have created the Windows Mixed Reality Asset Converter (available on GitHub) to perform your optimizations. This tool uses a set of utilities available in the Microsoft glTF toolkit to optimize any standard 2.0 glTF or .glb by performing an additional texture packing, compression and resolution down-scaling. Once you have your final .glb environment you're ready to test it out in the headset. Start at step 2 in the "Trying a sample environment" section to use your custom environment as the mixed reality home. While we're evaluating this experimental feature, we're interested in learning how you're using custom environments, any bugs you may encounter, and how you like the feature. Please share any and all feedback for creating and using custom home environments in the developer forums. How do I change the name of the environment? The file name in the environments folder will be used in the Places picker. 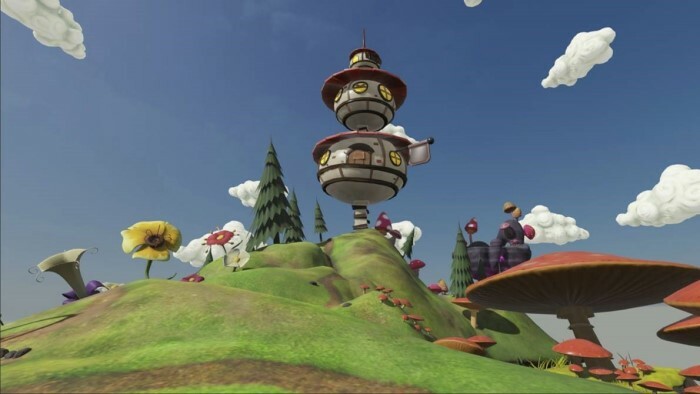 To change the name of your environment simply rename the environment file name, and then restart Mixed Reality Portal. How do I remove custom environments from my Places picker? To remove a custom environment, open the environments folder on your PC (%LOCALAPPDATA%\Packages\EnvironmentsApp_cw5n1h2txyewy\LocalState) and delete the environment. Once you restart Mixed Reality Portal, this environment will no longer appear in the Places picker. How do I default to my favorite custom environment? You can't currently change the default environment. Each time you restart Mixed Reality Portal, you will be returned to the Cliff House environment. Windows Mixed Reality doesn't support environments that exceed 256 mb. When an environment exceeds this limit, you will land in the empty sky box with no model. You can add optional optimizations to your environment to make it load faster. See "Optimizing your environment" for details. Windows Mixed Reality translates glTF units to 1 meter when loading environments. If your environment loads up an unexpected scale, double check your exporter to ensure that you're modeling at a 1 meter scale. The default spawn location is located at 0,0,0 in the environment. Its not currently possible to customize this location, so you must modify the spawn point by exporting your environment with the origin positioned at the desired spawn point. When you create your custom environment, it will be using an acoustics rendering simulation that does not match the physical space you have created. Sound may come from the wrong directions and may sound muffled.